Lagos State, with a population of over 20 million people and projected to be the 3rd largest megacity in the world by the end of 2015 is Nigeria’s economic and commercial nerve-centre. 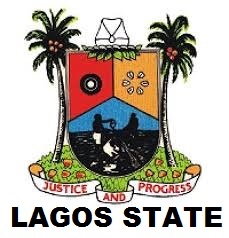 In line with its policy thrust of making Lagos State more prosperous and safer by pursuing an inclusive economic and community development agenda built on improved infrastructure, healthy environment and educational attainment, the Lagos State Government (LASG) has commenced implementation of State Development Plan. As a key initiative for Social Development and Security, the Lagos State Ministry of Health (LSMH) has the mandate to position Lagos State as a prime global destination for persons in quest of qualitative medical care. In this regard Lagos State Ministry of Health (LSMH) desires to create a state of the art Medical Park (“the Park”) to provide a full spectrum of excellent high technology cutting-edge specialist medical and diagnostic services at a single location of 2 hectares of land along the prime Awolowo Road, Ikoyi, Lagos, Nigeria. The Lagos State Ministry of Health (LSMH) now seeks Expression of Interest from interested local and international parties, on the development of private hospitals/health centers at the medical park via a Public Private Partnership (PPP) model. It is expected that the Park shall cater for general and specialty medical services tailored to meet the need of residents. It should include the provision of the following; with back-up diagnostic services for the polyclinics and in-patient facilities. A comprehensive development plan is the main thrust of this EOI and would engender further consideration of submissions. The State is open to suggestions on possible models with justification, especially in the areas of strategic purchase of services and/or sharing of facilities, contracting out/sharing of non-clinical responsibilities, price setting, cross-fertilization of expertise and experience sharing. The proposed arrangements for adopting standard operating protocols, price transparency etc. Parties may express interest for some or all of the services. One (1) original copy and three (3) other copies of Expression of Interest to be delivered in a sealed envelope clearly marked “EOI -Medical Park Service” and delivered to the address below not later than 4th September, 2015 between the hours of 9.00a.m and 4.00p.m Monday-Friday. The EOI exercise is a prequalification exercise. Parties who therefore do not submit a response will be unable to participate in the subsequent procurement processes for the development of the subject site. Furthermore, the submission of documents shall not entitle any of the interested parties to any claims against LASG and/or LSMH by virtue of such consortia having responded to the EOI invitation.